Last week, George W. Bush’s presidential library was dedicated. The Media were there in droves. So too were presidents Obama and Bill Clinton. They were all buddy-buddy, smiling, shaking hands and mutually jovial in the realization, no doubt, of the successful implementation of their very similar policies of the past 20 years–policies which, of course, have their ultimate origins in their common policy ancestor, Ronald Reagan. The policy differences between the three (and Reagan) are far less than the similarities. It’s all just a matter of degree and emphasis. GW Bush, however, represents an extreme in that common spectrum. The damages to the US and global economy by the Bush regime have been almost immeasurable, and continue to this day, as they will for years to come. Liberal economist, Paul Krugman, briefly recounted some of the more momentous damages in his recent column. But a brief column cannot do justice to the full scope and severity of George W. Bush’s toxic legacies. During Bush’s two terms in office more than $3 trillion have been poured down the black hole of wars in Iraq and the Middle East. More than $5 trillion has been served up in tax cuts for corporations and the wealthiest 10% households in the U.S. According to U.S. Federal Reserve Bank data, since Bush assumed office in January 2001 Government debt levels have risen by more than $3 trillion. But that’s only the total as of the end of March 2008. It does not yet include the cost of bank bailouts this past September: $300 billion for Fannie Mae/Freddie Mac, $85 billion for the insurance company giant, AIG, and the infamous $700 billion ‘TARP’ (Troubled Asset Relief Program) bailout at the close of the month. The September bailouts thus amount to another minimum $1.085 trillion. The above $1.085 also doesn’t include pending bailouts by the U.S. government’s FDIC (Federal Deposit Insurance Corp.), the agency that is tasked with closing down failed banks and reimbursing depositors. Banks like IndyMac and others. As of the end of September, The FDIC has only $35 billion in available funds remaining for additional bailouts. It is potentially liable for 8,600 banks in the U.S. with deposits and assets totaling $13.3 trillion. It expects 800-1000 regional and smaller banks to fail in coming months. Its bailout this past summer of Indymac Bank cost $8 billion alone. After the November elections, it will have to ask Congress for hundreds of billions, and perhaps even a trillion or more, in additional funding to cover bank failures yet to come. And that’s only banks! What happens when large hedge funds or a large pension fund goes under? Will the Government bail them out as well? It seems anyone with a corporate balance sheet is now eligible for a Government-Taxpayer income transfer. For example, non-financial corporations have already begun to queue up at the bailout trough. The three big US auto companies have just been handed $25 billion by Congress, in a separate bill that quietly slipped by the public and press in September, amidst the cacophonous wailings for bailout assistance by banks and financial institutions. Even foreign auto makers doing business in the U.S. are now demanding a piece of that pork as well. Like hogs in a pen, Corporate America’s lobbyists, financial and non-financial alike, noisily rush to the fence as the farmer approaches with his slop-pail of goodies. And it’s only the beginning. Corporate defaults are expected to rise tenfold in the next eighteen months, according to Standard & Poor’s, the corporate rating agency. But there’s still more trillions in this Bush mountain of debt legacy picture. Between 2002 and 2007 the ‘subprime’ mortgage loan crisis was created by the Bush administration. Total mortgage debt in the U.S. more than doubled, rising from $5 trillion in 2001 to more than $11 trillion in 2007. The poor quality subprime and other risky mortgage loans amounted to approximately $2 trillion of that $6 trillion. 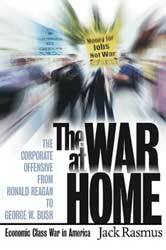 The Bush administration was forewarned time and again from 2003 on, by regulators and elected officials alike, at both federal and state levels, that the subprime situation was a time-bomb. Bush not only did nothing but actively discouraged federal intervention. The Bush administration officials at the Securities & Exchange Commission, SEC, in particular were instructed to look the other way as Banks set up ‘shadow banks’ operated off their regulated books. The shadow banks, called Structured Investment Vehicles, or SIVs, served as the trash receptacles in which various securitized bad subprime mortgage bonds were stuffed. Cooking separate books like this, off ‘balance-sheet’ as it is called, was precisely what CEOs and CFOs at Enron went to jail for a few years earlier. But similar behavior at banks and financial institutions in the case of subprimes was apparently not a problem for the Bush administration. When certain investigators and prosecutors got too close or appeared to have too much success, such as ex-New York attorney-general and governor, Eliot Spitzer…well… the FBI found a way to remove him from the scene. Bush directly contributed to the subprime bust and financial crisis in yet another way. This required the active assistance of Federal Reserve (FED) Chairman, Alan Greenspan. In 2003 Greenspan was awaiting reconfirmation of his position at the FED by the Bush administration. The economic recovery from the 2001 recession had stalled by 2003. After a weak recovery in 2002, job growth was declining once again, even though jobs had still not recovered to pre-2001 levels. Bush was intent on going to War in Iraq. And 2004 elections were but a year away. The economy needed a special boost. Bush-Greenspan struck a partnership that led directly to the subprime bust. Here’s how it happened: Greenspan and the FED accommodated Bush by lowering interest rates to 1% and then keeping them there far longer than was economically justified in any sense. The Bush-Greenspan strategy paid off for both partners. Super low interest rates produced a housing and commercial property driven economic boom from 2003 to 2006. Greenspan was awarded with reappointment as FED chairman by Bush in spring 2004 and Bush got his economic over-stimulus in time for the November 2004 elections. Financial speculators, banks and the mortgage industry raked in superprofits. They were able, as a result of Greenspan policies, to borrow virtually free money from the FED, which they then ‘leveraged’ to purchase ten times more volume of subprime mortgage bonds. Some of the more aggressive Investment banks, like Bear Stearns and Lehman Brothers, leveraged themselves 30 times or more. Greenspan’s 1% interest rate policy helped fuel the speculative excesses in the mortgage industry that created the subprime boom of 2003-06. When the FED finally began to raise rates again in 2005-06 it provoked the subprime bust of 2006-07. The end result of it all was a record housing price spike from 2004 to 2006, followed in turn by the consequent subprime mortgage price collapse. In the process of borrowing for leveraging and housing speculation, banks and financial institutions added roughly $8 trillion in new debt during the first seven years of Bush’s term–$6 trillion of that during the subprime speculative boom period of 2003-07. But there’s still another $ trillion to account for. That’s the amount of new credit card debt that American middle and working class consumers also took on since 2001. It is a lie and misrepresentation that consumers have been increasing their credit card debt in order to engage in spending on luxury and unnecessary items. Most of credit card debt has been taken up in order to pay for big ticket necessities, like college education for children, payment for medical bills their employer insurance plans no longer cover, for medical services by those no longer able to afford insurance at all, for basic transportation needs, for general cost of living by retirees no longer able to survive on social security, and so on. The credit card has replaced the annual wage increase that many employers used to but no longer give. It has substituted for wage increases that unions, now but a shell of their former selves, used to negotiate but no longer can. Credit cards are now relied upon by the more than 40 million workers who used to have full time permanent jobs but now have to make due with lower paid part time or temporary work; and by the more than 8 million workers whose once decent paying manufacturing jobs have gone offshore and have had to accept lower paid service jobs. To the $3 trillion in government debt was thus added $6 trillion in household mortgage debt, $8 trillion in banking debt, another $1 trillion in new consumer credit card debt, and $3.5 trillion in additional non-financial business debt. A total of more than $21 trillion in accumulated debt of various kinds over the course of Bush’s term in office. That’s a stack of $500 bills 3,297 miles high; or, roughly the distance from New York City to London. The ‘unwinding’ of the $21 trillion in net debt accumulated during the Bush administration is the direct, root cause of the current financial crisis. The write-downs and write-offs by banks and other financial institutions, the bankruptcies by companies and consumers, the losses of home values, the foreclosures, etc.—all represent the ‘unwinding’ of that record level of $21 trillion new debt accumulated since Bush took office. The September bank bailouts, from Fannie Mae to TARP, represent an effort by the US government on behalf of banks and financial institutions to transfer the cost of the banks’ $8 trillion debt unwinding from their banking friends to the general taxpayer. More specifically, the September bailouts represent a strategy by Finance Capital and America’s corporate elite to shift a major portion of this debt from their corporate balance sheets to the ‘public balance sheet’ and taxpayer. But the bank bailouts will not stop the debt unwinding. They do not address the fundamental causes of housing and commercial property price collapse underway since the beginning of the year and now accelerating. Housing prices have yet to fall another 20-30%, and new phases or stages of the financial crisis will continue to emerge. Furthermore, housing deflation will continue to spill over to the commercial property market, to the stock markets that have yet to fall another 20% as well, and eventually to producer and consumer prices and wages should the recession prove deep and long. The bailouts only relieve the banks of their share of the pain of that collapse. Bailouts like those enacted in September are designed primarily to transfer the costs of the crisis—from big banks, financial institutions, and other corporations and their investors to the general taxpayer, worker, and consumer. But shifting the ‘bad’ debt from private to public balance sheets does not eliminate it. The only thing settled by the bailouts—TARP, Fannie Mae, AIG, and others—is who will pay for the crisis, not how to end the crisis. Once a fundamental debt-driven financial crisis gains momentum it is not easy to stop. The US Federal Reserve’s strategy has been to throw ‘liquidity’ at it. Since December 2007 the FED has committed nearly a trillion dollars in special and emergency loans—to no avail. Time and again the FED has upped the ante—and the crisis has deteriorated further. It is amazing that the current chairman of the FED, Ben Bernanke, has not learned that throwing liquidity at the problem, i.e. a money supply solution, is not working after a year of such repeated attempts. The problem is not the balance sheets of banks and financial institutions; the problem is the ‘balance sheets’ and insufficient incomes of workers, consumers and homeowners—i.e. a demand side problem. The financial crisis is not a liquidity crisis. It is a solvency crisis. It is a general systemic crisis and a deepening crisis of confidence in the financial system itself. The debt-driven financial implosion is thus the second major economic legacy of the Bush administration. What Bush has left the nation is a classic Debt-Deflation crisis that has resulted in a near freeze up of the entire financial system. The last time this occurred was 1929-34, and before that in the 1870s and the 1890s. Moreover, the Bush legacy of financial collapse is not finished. It will continue to reverberate and make itself felt for years to come. From housing and commercial property markets, to industrial loans, to municipal and corporate bonds, to commercial paper, and even markets in which banks loan to each other, such as Libor—all began to shut down in September. There is no inter-bank lending market at present in the U.S. or even globally for that matter. They have shut down. The FED and other central banks have become, in effect, the only banks willing to lend to other banks. Even money markets are contracting. Money market funds, mutual funds, pension funds, and hedge funds are all in the process of contracting and reducing lending. The credit crunch is the transmission mechanism by which the current financial crisis translates into a recession. It is the linking event. Financial crisis and recession are therefore but two sides of the same coin, driven by the same set of fundamental causes. The debt-deflation drives the bank, consumer and corporate losses, which results in the credit crunch. Without available funds to borrow, or even borrowing at extremely high rates, businesses in turn begin to cut back, announce mass layoffs, and then shut down or go bankrupt. The extreme levels of accumulated debt since 2000 has produced a financial crisis correspondingly severe and unlike anything since 1929-34.. The severe and protracted financial collapse has created a credit crunch of equal historic dimensions as well. So there is no reason to assume the recession now emerging will be anything less historic or severe. 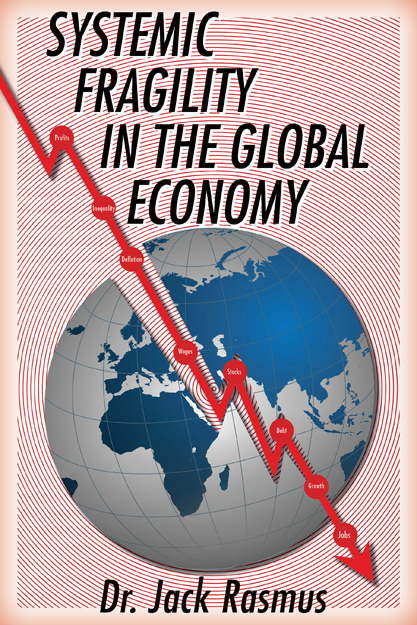 The current financial crisis and credit contraction is producing a recession of equally deep scope and magnitude—i.e. 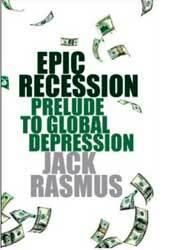 ‘Epic Recession’—as I have called it last June in an earlier article in this publication. An Epic Recession of particularly long and/or deep duration that shares characteristics of a typical postwar recession but also characteristics of a classic Depression similar to 1929-34, 1873-78, or 1892-97. A recession that is fluid and unstable, and can easily accelerate in the direction of a bona fide Depression. What Bush has therefore bequeathed the country is an economic crisis of historic proportions—in terms of debt, systemic financial collapse, and Epic recession. In so doing, Bush has turned the clock back on the American economy more than a century. With bailouts, with expected losses in tax revenues in 2009 due to the now deepening recession, and with the certain need for further fiscal stimulus by the federal Government to save State and Local governments from bankruptcy and provide unemployment insurance for the millions more jobless to come—the next U.S. budget deficit will easily double from its current projected level of around $500 billion. (Yes, that’s another $1 trillion!) A mind-boggling $trillion dollar budget deficit that will all but ensure that, whoever wins the November 2008 election, few if any of their campaign promises or programs will see implementation. 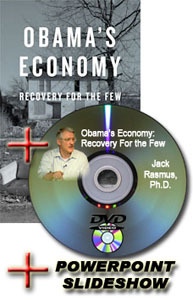 Instead, a national economic ‘austerity program’ will likely be the agenda come January 2009 regardless who wins. Come January 2009, critical programs like national health care reform, student loans, sustainable environment, jobs creation and protection, foreclosure mortgage relief, retirement systems reform, etc. will all be sidelined more or less permanently, or at best proposed by the new President in only token form with insufficient funding. The fiscal-budget crisis of the US government that now looms large on the horizon also has potentially enormous consequences for the non-financial economy. The massive budget deficit is the consequence thus far of three primary causes: the $3 trillion Mideast Wars, the $5 trillion tax cuts for corporations and the rich, and now more recently the multi-trillion, still rising bailouts of finance capital at taxpayer expense. A fourth and fifth cause will balloon the budget deficit further. The fourth is the deepening recession itself, which will result in a major shortfall of tax revenues to the federal government. The fifth is need for the federal government to spend significantly more in order to stimulate recovery from the downturn. Very little to date has been expended by government to help consumers and homeowners and thus stimulate demand to generate any recovery from recession. The depth of the fiscal-budget crisis may thus neutralize to a large extent the ability of the government to engineer a recovery from the recession. Monetary policies of low interest rates have clearly failed to have any effect on recovery, and the FED has little further leeway to lower interest rates in any event. Traditional monetary policy has clearly failed. 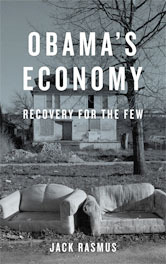 The full burden of recovery is thus now shifted to Congress, the President, and fiscal policy. But can the government—having wasted so much on Wars, tax cuts for the rich, and bailouts—still afford to stimulate the economy given the pending trillion dollar deficits? That kind of fiscal spending constraint did not exist in 1929-33, whereas it now clearly does. As the fiscal crisis deepens, it may have no recourse but to pull out of the wars it can no longer afford, find some way to raise taxes on corporations and wealthy investors, and slow the free flow of bailout money to the banks. However, it is highly problematic that Congress and the new President will have the political will to do any of the above. Trillion dollar budget deficits may also have serious consequences for the U.S. economy in a global sense. It means the US government will have to borrow much of that trillion deficit from foreign sources—central banks, banks, wealth funds, and foreign investors. If it cannot borrow, it will have to print the money. But will foreign sources want to loan that amount to the US? Perhaps not, if they believe the value of their loans might decline overnight. But if they do not, it may mean a collapse of the U.S. dollar as a world currency. And that will in turn hasten the decline of the U.S. dollar still further, in a vicious downward cycle. If the U.S. government cannot borrow enough to cover the trillion deficit, it will have no recourse but to turn to printing money. That will lead to an explosion of inflation, a further decline of the dollar, and even less willingness by foreign sources to loan to the U.S., and so on. In short, the fiscal crisis legacy of Bush carries the very real risk of spawning a consequent U.S. currency crisis of epic dimensions as well. More than 3 million US workers have lost jobs to China alone during the two Bush terms, and another million have been lost due to free trade with Mexico, Central America and Canada. Bush’s first recession in 2001 resulted in loss of millions more jobs. It took 48 months, four years, just to return to employment levels that existed in January 2001 on the eve of Bush’s first recession. It was the longest ‘jobless recession’ on record in the post world war II period. We are now in the third Bush jobs recession. The first occurred between 2001-2002. A brief and weak recovery of jobs followed in 2003, followed in turn by another jobs decline in 2003-04. It was not until just before the 2004 elections that job levels fully recovered. By late 2007, after just a brief few years of jobs growth the economy once again began to gush jobs at an alarming rate. After three jobs recessions under Bush, it now appears jobs recessions are becoming endemic to the US economy. The most recent jobs recession began in 2007 and now has begun to accelerate once again. Officially, more than 750,000 jobs were lost through September in 2008. The actual number is much higher, however, given the conservative way the US government calculates unemployment. For example, in September the government estimated 159,000 jobs were lost. But 337,000 part time workers were hired that month. That means many tends of thousands of US workers were cut back from full time and rehired as part time. Part time work should represent a ‘half’ of job loss, but the government counts part time and fully employed. Since January 2008 at least another 750,000 part time workers were hired. The true job loss since the start of 2008 is thus closer to 1.5 million than the estimated official 800,000 or so. The Bush jobs legacy has thus been one of shifting more jobs offshore as a result of free trade policies, weak and brief job creation during recoveries from recessions, at least three ‘jobs recessions’ during his watch, and the replacement of millions of higher quality full time jobs with lower paid, lower benefits (or no benefits) part time and temporary jobs. It is an abysmal legacy that explains a good deal why 91 million middle-working class households’ pay and incomes have stagnated or declined. The real weekly earnings of the 91 million households in the U.S. earning—i.e. 80% of all households earning roughly $80,000 a year or less—are less today than when Bush took office. To maintain standards of living these households—those that constitute the middle and working class—have out of necessity turned to credit cards, refinancing their mortgages when it was possible, and working second and third part time jobs. The chronic loss of jobs due to free trade and repeated jobless recessions, the shift to lower paying service jobs, and companies transferring workers from full time permanent employment to more part time-temporary jobs explains a good deal of the stagnant or declining incomes. But not all. The decline of unions and effectiveness of collective bargaining during Bush’s term has also contributed to the income stagnation, as has the shifting of the cost of rising health insurance, deductibles, and copayments from employers to workers during Bush’s term. In stark contrast to the Bush legacy of stagnating and declining earnings for the 91 million as a group, the Bush legacy has meant turning a blind eye to multi-million dollar, and even billion dollar, CEO pay packages—including those granted bank executives who received multi-million dollar payoffs even when their companies crash and burn. No wonder the general public were incensed this past September with Treasury Secretary, Paulson’s, proposal for $700 billion TARP bailout! That bailout failed—and continues to fail—to provide any effective constraints on Executive Pay or CEO ‘golden parachutes’. The obscene, uninterrupted, and historically unprecedented explosion of executive pay is thus one of the more visible hallmarks of the Bush economic legacy. Some argue the current financial crisis is the product of financial industry deregulation. But that is only partly correct. Deregulation is only an ‘enabler’ of the crisis, not a fundamental cause of it. Deregulation has allowed the banks to set up ‘shadow’ institutions, as noted above, in which to hide and bury their ‘junk’ securities. 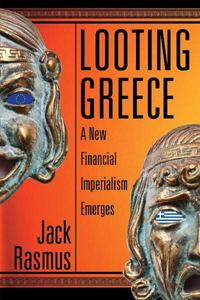 It has spurred the process called ‘securitization’, in which bad loans were bundled with other bad or good securities, cut up into 5 to 15 pieces, marked up in price to make a superprofit, and sold and resold around the world to other central banks, banks, funds and private investors. Deregulation allowed banks to work with mortgage lenders to generate record quantities of bad mortgages; allowed banks to spread contagion in the name of spreading risk; permitted excess leveraging by financial and non-financial corporation alike. But deregulation means nothing if debt is not readily available to borrow at excessively low costs. That’s where the FED’s quarter century long loose monetary policy and below normal market interest rates played a complimentary role. Speculation results in excessive leveraging of ‘bad debt’. But leveraging requires easy, low cost borrowing. Deregulation allows leveraging to happen. But super low interest rates by the FED makes it possible in the first place. The two go hand in hand. The repeal of the Depression-era Glass-Steagall Act in 1999 and its replacement with the Gramm-Bliley Act removed a major impediment, while providing a major impetus, to financial speculation and excess. But Bush took the opportunity several steps further. 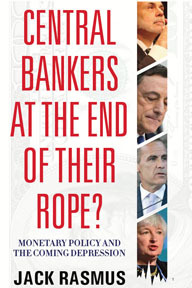 Bush’s contribution was to encourage and promote excessive financial speculation; turn over what remained of policing of the banking industry, in particular the investment banks, to the banks themselves; and send the remaining regulatory agency, the Security and Exchange Commission (SEC), to the sidelines. This policy thrust went on from the very beginning of his term in 2001 up to the outbreak of the financial crisis in late 2007. It is possible to cite numerous and repeated attempts by state and even federal mid-level officials who warned of the dangers of growing financial speculation, in general and with regard to subprimes in particular, from 2002 on. Regulators at both the state and federal levels repeatedly warned from late 2003 on what was going on in the mortgage markets in particular. So it is simply not true that Bush Administration regulators “did not see what was coming”. In April 2004 the floodgates were further opened. At that time the SEC decided to allow the ‘big 5’ investment banks—i.e. the Lehman Brothers, Bear Stearns, Merrill, Morgan Stanley, Goldman Sachs—to take on unlimited debt and ‘leverage’ as they began their manipulation of the emerging boom in the subprime market. They were no longer required to keep virtually any reserves on hand for emergency situations. They could borrow without limit from the FED, hedge funds, and other private funds and leverage to the hilt, which they did. Bear Stearns, Lehman and the rest typically took on any and all bad debt and leveraged themselves to more than 30 times their available reserves. Moreover, they would be allowed to self-regulate themselves with no further SEC policing or oversight. Without this strong encouragement by the Administration, the excessive bad debt accumulation associated with the subprime market would not have been possible. Thus the Securities and Exchange Commission did not simply ‘look the other way’. The agency responsible for regulation actively participated in and enabled the deregulation. It helped dismantle the last vestiges of regulation under Bush. Its chief Commissioner, Christopher Cox, was handpicked by Bush because he, Cox, had a long track record as a representative in the House raising and promoting legislation to protect the investment banking industry from lawsuits, loosening accounting rules for executive stock options, and cutting staffing and inspections at the SEC. Bush awarded him with the position. It is also often forgotten that Secretary of Treasury, Paulson, the administration’s point man for financial system re-regulation, assumed his current role as Treasury Secretary in mid-2006, barely two years ago, and immediately launched as his first act in office a major effort to deregulate the banking industry still further. As the subprime crisis began to emerge in late 2006, Paulson was proposing and championing legislation for looser oversight by the SEC of banks and mortgage companies responsible for the subprime bust. His ‘mantra’ was to replace defined rules governing banks’ practices and behavior with vague, undefined ‘principles’. He originated a special commission to report proposals to do just that, which it did. As part of the report, while controls were further lifted on banks, more controls and restrictions were implemented, in contrast, on regulators. The target of the report were attorney generals and governors, like Eliot Spitzer, who were beginning to act and intervene because the SEC was content to do nothing and ignore the growing crescendo of warnings about the pending subprime crisis. The same Paulson, ex-CEO of the investment bank, Goldman Sachs, and champion of deregulation under Bush from 2006 on, is now entrusted with financial re-regulation. It should therefore have been no surprise that his original ‘TARP’ proposal called for no new regulatory controls on the banks or limits on executive pay, as he simultaneously proposed to give Banks a handout of $700 billion. Deregulation is directly related to corporate fraud. In Bush’s first term, scores of CEOs and senior managers were indicted and convicted for various forms of fraud. These companies were mostly associated with the technology sector, in the wake of the dot.com boom and bust. The current financial crisis has yet to produce its own crop of corrupt captains of industry. But it will. Investigations are already well underway by the FBI, SEC, and Congress. The new corruption cases will make the post-dot.com bust fraud revelations pale in comparison in terms of the dollar value rip-offs. Bush will therefore leave office with one of the worst legacies of corporate corruption on his watch. It is important to note that Bush’s legacy on deregulation and its huge costs to the economy and US taxpayer was not limited to the finance industry. Space does not permit a chronicling of the devastating consequences of other industries’ deregulation under Bush: transport, communications, cross-industry occupational safety and health, environmental, federal labor and wage standards, food and drug safety, and countless other areas. In all cases, however, the result has been greater profits for corporations at the expense of consumers, workers and taxpayers. Another Bush legacy has been the destruction of the retirement system established in the immediate post-World War II period. That system was based upon the idea of a ‘three legged stool’ structure that included Social Security, employer-provided pensions, and personal savings. All three were actively undermined by Bush and have resulted in a crisis of historic proportions, for the more than 44 million retirees today and the 77 million baby boomers who will start joining their ranks starting next year. The crisis in Social Security is not as described by the Bush administration a few years ago, as Bush desperately attempted to privatize the system. The crisis is the more than $2.3 trillion dollars that has been siphoned out of the Social Security Trust Fund the last two decades, transferred to the U.S. general budget, and spent in order to pay for wealthy and corporate tax cuts, chronic wars under Bush, and ballooning defense budgets. Social Security payroll tax collections for two decades have actually subsidized the U.S. budget, not undermined it. Every year the Social Security program produces a surplus, at the rate of sometimes hundreds of billions of dollars a year. And that surplus is diverted in full and spent. Defenders of the historic theft say ‘we owe it to ourselves’ and can put it all back in the trust fund whenever we need’. True. But to replace it requires the US Government borrowing back the $2.3 trillion from banks and other private sources, paying interest on that debt, and thus adding at least $200 billion more a year for ten years to the coming $1 trillion a year budget deficit. In accounting terms it is possible; in economic and political terms it is not. Bush has borrowed over his eight years in office more than $1.3 trillion of the $2.3 trillion Social Security Trust Fund surplus. The second ‘leg of the stool’, private pensions, have fared even worse under Bush. When Bush took office there were more than 35,000 defined benefit pension plans, single and multi-employer, in the U.S. Today there are barely 30,000. More than 5,000 have disappeared. That decline has been with the active encouragement of the Bush administration. Throughout his first term and well into his second, Bush allowed underfunded pension plans to defer payments, required by law, into their pension funds to ensure they were solvent. He called these ‘contribution holidays’. In 2004-05 the practice was particularly abusive, in the run-up to the passage of what he called the ‘Pension Protection Guarantee Act of 2006’. That 2006 Act, however, was not designed to rescue defined benefit plans but to hasten their further demise—as witnessed by the collapse of 5000 more plans during his term. His legacy in this area is yet to worsen, moreover. Key elements of that Act permitted pension funds to invest in risky Hedge Funds. The latter are about to go bust in large numbers, resulting in a further crisis of traditional defined benefit pensions and their funds. Bush consistently pushed the dismantling of defined pensions and their replacement with 401K plans. In fact, the 2006 Act has allowed companies to force-enroll employees in 401Ks. But 401Ks are virtually unregulated and studies show they yield far less in returns available for retirement than do traditional pensions. In fact, the average balance in 401ks today is barely $18,000. That means tens of millions face the future of retirement in the 21st century with only $18K of retirement sources, apart from social security benefits. The final ‘leg’ of the retirement system stool has been broken as well under Bush. That was supposed to be the accumulation of one third of necessary retirement resources from personal savings. However, under Bush the personal savings rate has collapsed. Americans now have a negative savings rate, as they’ve struggled to barely keep up with the cost of living. Falling annual earnings do not produce savings. In an ominous recent trend, moreover, it appears many are having to borrow from their already insufficient 401ks just to cover medical cost and other expenses. Bush’s legacy in the area of retirement is a crisis of historic dimensions in insufficient resources for tens of millions. Bush has been even more successful in privatizing, and thus dismantling, the post-war health care financing system. By allowing health care insurance premiums and other costs to double during his term, rising more than 10% every year in his first seven years, he has forced employers and workers alike to give up health care coverage altogether or to reduce that coverage in order to afford rising premiums and other costs. There are now more than 47 million Americans without any kind of health coverage whatsoever, an increase of 9 millions since 2000. Eight out of ten of those uninsured are working Americans. More than 1.3 working Americans lost their health insurance coverage in 2006 alone. Approximately 12% of all kids in the U.S. have no health coverage. Despite this collapsing coverage, the U.S. spends nearly twice as much, about 17%, of its total GDP on health care. That compares with 9%-10% for those countries with single payer health delivery systems in Europe, Canada and elsewhere. It means the U.S. spends more than $1 trillion a year on middle men, i.e. mostly insurance companies, to push paper and forms around while delivering not a single health service. For those still with health insurance, the rising cost burden has also shifted significantly from employers to their workers—by as much as 30% according to some studies—to cover rising costs of not only monthly premiums but out of pocket deductibles and copayments. Thousands of companies have been allowed to abandon their health plans altogether, most notably in recent years the big auto companies which are in the process of dumping their health care funds, underfunded by $50 billion, onto the auto workers’ unions. Employers that once provided medical benefits for their retirees under their plans, benefits often negotiated with their unions, have simply arbitrarily and unilaterally discontinued those benefits. The administration and the courts have encouraged and endorsed such employer and court decisions. Bush’s long run plan has always been to fully privatize health care, just as it has been to complete the privatization of defined benefit pensions and has attempted to privatize social security. Bush’s creation of so-called Health Savings Accounts, or HSAs, has been the center of the administration’s health care insurance strategy. HSAs are simply the analog of 401ks. Like the latter, they are designed to eliminate and replace group plans provided by employers or negotiated by unions. Bush and employers have as their goal the elimination of any central role by employers providing either retirement or health care coverage. That is what Bush has called his ‘Consumer Driven Society’. That too is his legacy—a health care delivery and financing system that is now as broken as the retirement system. Every year for the first five years of his terms in office Bush pushed historic tax cuts totaling more than $5 trillion. Estimations from sources like Brookings, Urban Institute, and others are that about 73% of the cuts benefited the wealthiest 20% households. 30%, or $1.5 trillion, of that 73% benefited the wealthiest 1% households, or roughly 1.1 million out of the total 114 million taxpaying households in the U.S. But these figures don’t even include tax cuts for corporations, which have amounted to trillions more under Bush. Nor do they include similar massive tax shifting at the State and Local government levels. Where has all that tax cut money gone, one might ask? A good deal of it into Hedge Funds, Private Equity Funds, and other forms of private, unregulated banking—and thus stoking the fires of speculative investment in recent years in subprimes, derivatives and other unregulated financial securities. Other amounts have no doubt contributed to the explosion of offshore tax shelters. According to the investment bank, Morgan Stanley, in 2005 offshore tax shelters had increased their funds from only $250 billion in 1983 to more than $5 trillion by 2004. More recent estimations by the Tax Justice Network indicate tax shelters now hold more than $11 trillion. A reasonable estimate is that wealthy Americans likely account for at least 40% of that total, or around $4-$4.5 trillion. Exactly how much is not currently knowable, since there are around 27 offshore tax shelters, according to the IRS, in mostly sovereign nations like the Cayman Islands, the Seyschells, Isle of Man, Vanuatu and the like which have closed their tax doors and do not cooperate with IRS attempts to investigate how much wealthy US taxpayers have stuffed away in their electronic vaults. The massive tax shift has been a prime cause of the Bush legacy of shifting relative income and wealth in the U.S. during his term—from roughly 91 million middle and working class taxpaying households to the wealthiest 1% (1.1 million) of U.S. households. There are of course numerous additional means by which income has been shifted from the bottom 80% to the wealthiest 1% (e.g. executive pay), but the tax system restructuring under Bush has likely been the most contributive sources. An idea of how much this has all resulted in the explosion of income and wealth gains at the top at the expense of those at the bottom 80% has been estimated in recent academic studies by professors Emmanual Saez and Thomas Picketty. Based on their deep analysis of IRS taxes paid over the history of the Federal Income Tax since 1917, the wealthiest 1% of households in the U.S. received about 8.3% of total income in the U.S. in 1978. By 2006, however, that wealthiest 1% were receiving 20.3% of total income generated in the U.S. And that still does not include tax sheltered income. Nor does it include corporations’ retained income or profits diverted offshore to avoid taxes. But the 20.3% does represent a return to almost exactly what the top 1% received in 1928—i.e. 21.09%–on the eve of the last Great Depression! Bush’s ‘Toxic Economic Legacies’ have their roots in policies that are not uniquely his own. The above ten points represent policies that commenced in earnest in the 1980s under Reagan, and in some instances even before that during the last two years of the Jimmy Carter administration. The policies were continued in various form through the administrations of George Bush senior and Bill Clinton with different emphases. What characterizes the administration of George W. Bush is that the toxic legacies were carried to the extreme, accelerated in terms of their effects, as well as their inevitable negative consequences. Whether income shift, financial deregulation and crisis, tax shift, budget deficits and fiscal crisis, the destruction of the retirement and health care systems, etc., Bush represents the continuation of the policies and legacies on an accelerated rate, on a magnified scale—i.e. ‘a toxicity writ large’. A second, final comment is that these toxic economic legacies are interdependent, one feeding upon and exacerbating the other. It is not possible, for one example, to understand the current financial crisis and emerging global epic recession apart from the massive shift and concentration of income in the hands of the wealthiest household-speculators and corporate-speculators. That is not the sole explanation of the present systemic financial collapse or growing threat of global depression increasing now almost daily. But the financial and economic crisis underway at present cannot be fully comprehended apart from the former either. Reversing the legacies, removing the toxic effects on the future of American economy and society cannot take place without correcting the fundamental causes. And that includes reversing once again, as in the 1930s and 1940s, the perverse and distorted income and wealth distribution afflicting society itself.